IndiGo, the Indian low-cost carrier, was forced to cancel 75 flights over the weekend due to ‘weather’. But an insider reports that they actually lack airline captains and have empty jets just sitting on the ground. Rumors claim that the airline actually needs at least 100 new airline captains (senior pilots who have many hours) right now. Over the weekend, there was a big storm in Northern India that caused several delays. Not only did this result in cancelations, but also issues with repositioning the required crew around for future services. However, it is rather telling that a single hailstorm can wipe out so many flights from one airline. That they don’t have the backup crew, or supply of pilots to be able to be flexible. 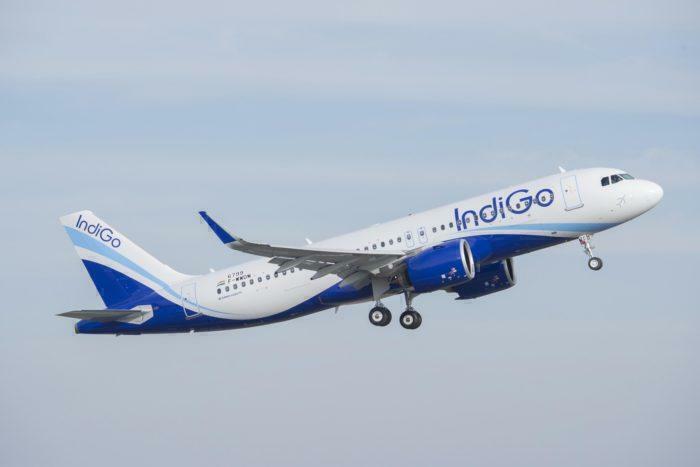 IndiGo has 209 jets (A mix of Airbus A320-200s and A320neos) and around 3,000 pilots to fly them. However, they only seem to have 70% pilot capacity, resulting in a 30% shortfall with their fleet. This is due to growing so rapidly that the world pilot shortage has hit them hard. This means working conditions for the remaining pilots and captains is hard. So hard that on rostered days off pilots are called into work, those on standby almost always get called in and there has been one event in which a pilot at home sick was asked ‘just how sick are you?’. In India, the maximum amount of weekly hours a pilot is allowed to work is 125 hours. These pilots are working 100 hours on average, flying up to four sectors/flights in a single day. One new recruit saw their roster of ’75’ hours (in total up to 100-110) and quit on the spot. 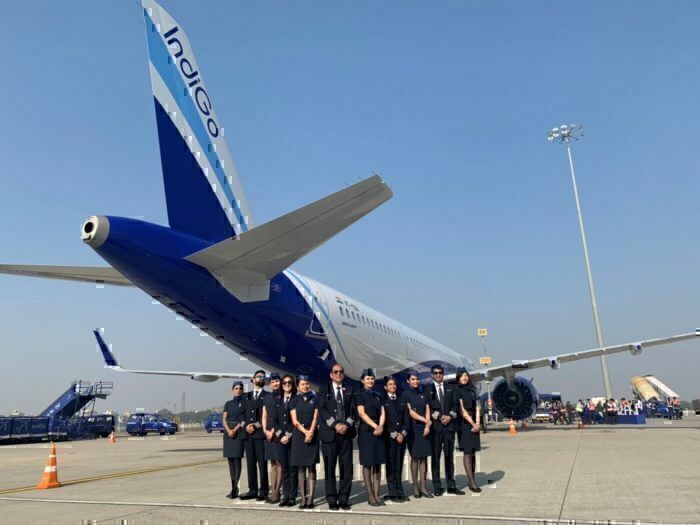 Pilot and crew post in front of an IndiGo aircraft. Photo: IndiGo. These extra hours have led to pilots getting ill and tired, unable to function after the week and need more time off. And as a pilot in charge of hundreds of lives, you would want them to be as focused as possible. But these new pilots are going to be hard to come by. The Indian aviation authority highly recommends that pilots be recruited locally from India, but with all airlines in the sub-continent experiencing pilot shortages, there simply is not a supply of experienced aircraft captains. What do you think of this story? Let us know in the comments. At a maximum amount of weekly hours a pilot is allowed to work at 125 hours. Indigo and according to the article similarly all India operating airlines ? All of them should immediately be worldwide banned from the sky’s. Suchs an internationally measure certainly deepens the worldwide pilot shortage. But 125 hours of cockpit work is an unbelievable kind of todays high end slavery. These measurements will on the short time certainly lead into a decrease in availabity of flights, bankurpcy of airlines and cause an increase in ticket pricing. Futher causing unemployment in the aviation supplying industry. Let’s say so be it ! ! ! It’s politically a huge dealing issue. Meanwhile it’s unbeliveable that somewhone leans thrustfully back in the cabin of any plane knowing the captain is in his/her 50 – 100 or even 120+ hour this week. So if this is aviation industry to day, fellow passengers stick to flag carriers, presuming they do confirm to more realistic labour standards for flight deck-, cabin- and ground staff. # jus for fun but may be serious I wanted to become an pilot but the problem is money can anyone help me?? I’m doing engineering in Tamil Nadu whereas my dream is to be a pilot till my life’s end……..